The 23rd June marks one year since the referendum on our future membership of the EU and the historic decision taken by the British people to leave. It also happens to be my 54th birthday and will mark 14 years since Dy-tech was originally conceived. Much was promised by both sides in the preceding debate, most of which failed to materialise. But 12 months on, what has the decision to leave meant for SME’s and what can we expect in the future? As a small independent contract electronics manufacturer (CEM) there are essentially two elements to our business. The need to purchase raw materials such as PCB’s and Electronic Components and also continued access to a flexible supply of relatively low cost labour to carry out assembly. The vast majority of electronic components are manufactured in the far-east and purchase costs are $ dollar based. The resultant devaluation of sterling saw a significant jump in the cost of raw materials which directly affects profit margins. The threat to free movement of people from within the EU might certainly be a concern down the line. 50% of my employees are EU nationals and I have found them all to be punctual, reliable and hard-working. Limiting access to this valuable source could seriously impact our business. That said we have seen that increased raw material costs have been mitigated by increased sales. Although only a small proportion of our products go direct for export, a large proportion of what we deliver to our UK clients eventually makes its way overseas and what they are reporting, and we are seeing reflected in the order book, is a substantial upturn in orders. I was surprised to hear that the prospect of being outside the single market would severely hamper the ability to access goods and services. I suspect that like Dy-tech, most companies have been dealing directly with the US, China and the Far-East for many years. The internet has proved invaluable in sourcing materials and payment services such as PayPal make it just as easy to purchase goods in Shenzhen as Scunthorpe. My own thoughts are that when we eventually leave the EU, should the UK be subject to trade tariffs or duties then I suspect that just like exchange rates and rising commodity prices, SME’s will adapt and overcome with improved productivity inventing new and innovative ways to continue to trade profitably and grow the manufacturing sector in the UK. The notion of the single market has always been slightly oxy-moronic to me. There are six and a half billion people outside the EU and any self respecting businessman would tell you that the more potential customers you have access to, the more successful you are likely to be and I for one am optimistic about the future for British Manufacturing. 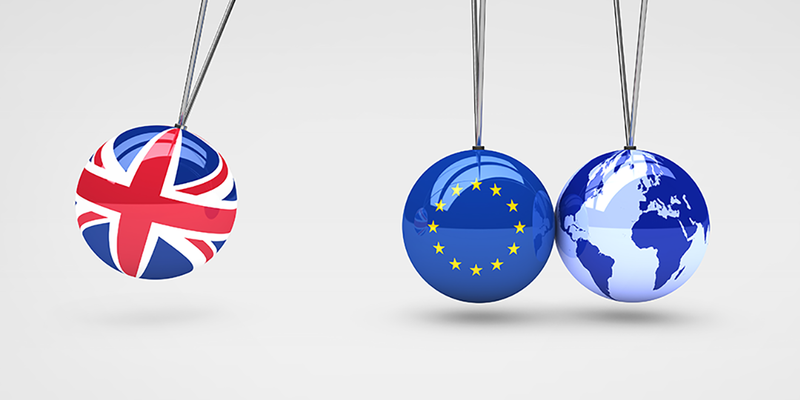 I would be interested to hear your thoughts on how Brexit might affect your business going forward. If anyone knows someone who might be interested then please contact us. > Full time – 39 hours p/w. > No experience necessary, although suits someone who is naturally dexterous. > We will train successful applicants to the required ISO and IPC manufacturing standards. 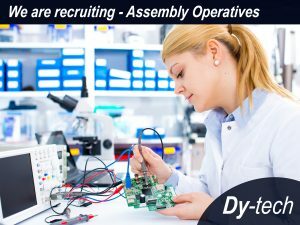 To apply, please email andrew@dy-tech.co.uk (no agencies please).